Russia’s Navy is a highly visible and generally well-understood instrument of Moscow’s military power that has been on a slow process of re-equipment from its 1990s nadir. It now wields a fairly impressive range of capabilities, from new medium-sized ships, such as corvettes and frigates, nuclear-powered attack and ballistic missile submarines, and advanced weapons, including the Kalibr cruise missile first demonstrated attacking targets in Syria. 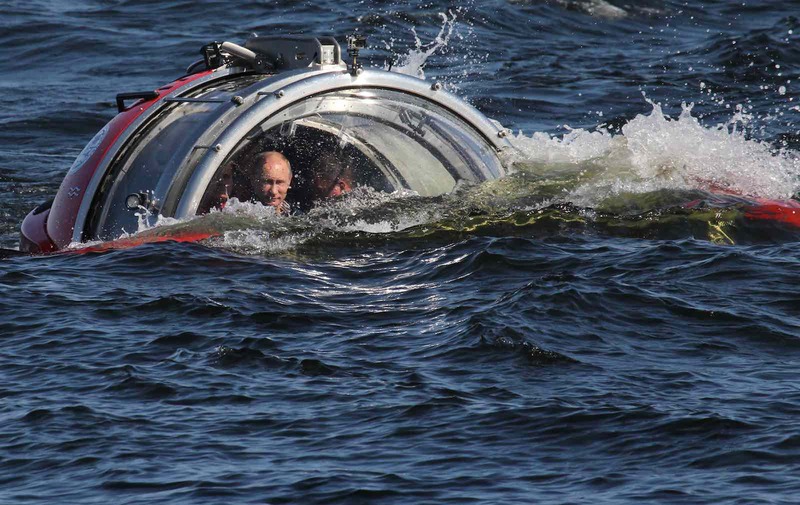 There is, however, another far more shadowy force available to Moscow which forms Russia’s “Secret Navy”: the Main Directorate of Deep-Sea Research, or Glavnoye Upravlenie Glubokovodsk Issledovanii (GUGI). The Directorate was formed in 1976 and since then has existed separately from the rest of the armed forces administratively, physically, and operationally. For example, rather than being part of the Navy, it circumvents that chain of command and reports directly to the Ministry of Defence. Further, its staff and vessels are housed at discrete bases held apart from other military facilities, notably at Olenya Bay near Russia’s border with Norway, where a specialised covered dock keeps the most sensitive assets hidden from surveillance. Such measures are justified by the specialised and exotic nature of GUGI’s operational responsibilities. These range from oceanographic survey to the placement and maintenance of deep-water military equipment, including submarine-detection systems, as well as the identification, tapping, and potential destruction of subsea communications cables. With President Vladimir Putin revealing the Kanyon/Status-6 long-range nuclear torpedo (now officially named Poseidon) this year, GUGI will likely become responsible for this weapon system too, rendering the Directorate a key component of any Russian second-strike effort should atomic war erupt. To achieve such a diverse array of missions, GUGI has a range of equipment that appears almost James Bond–esque. Among the more standard units it has are a range of “ocean research vessels”, such as the Yantar, which hold specialised equipment, including miniature submarines, able to identify and interface with underwater communications cables. More broadly, GUGI has advanced unmanned assets, including some of the world’s largest autonomous vessels, the Harpsichord series, and the (potentially nuclear-powered) Harmony surveillance system planned for the Arctic. But such assets pale in comparison to the Directorate’s fleet of eight or more nuclear-powered special-mission submarines, the largest and most diverse force of its kind in the world. These come in two main groups. First, there is a range of fairly small vessels, ranging from the 40-metre Nelma to the modern 74-metre Losharik capable of diving as far down as 2500 metres. These submarines are equipped with advanced position-keep equipment and specialised robotic arms that enable them to approach, deploy, retrieve, maintain, and interfere with underwater infrastructure. These vessels are transported around the world by two large mother-submarines, modified versions of Delta-III and IV ballistic missile units, from which they detach and reattach underwater, beyond prying eyes. The mother-submarines provide the additional food, water, and living space for the smaller vessels’ crews to reach distant areas of operations (being nuclear-powered, range is not a constraint for such craft). However, perhaps the most impressive GUGI asset, still yet to be completed, will be the enormous Belgorod, which when finished will be the longest submarine in the world. This vessel will likely serve to provide yet another highly modern mother-submarine for the rest of the GUGI fleet, and will also be able to launch the Poseidon torpedo. At 24 metres long and nearly 1.5 metres wide, this weapon is so large that it will be far too big to fit in an unmodified submarine (a regular torpedo is nearly 30 times smaller), leaving its use restricted to the Belgorod and another specialised unit, the Khabarovsk. While GUGI is of course small compared to Russia’s primary naval forces, it has outsized relevance to NATO, and potentially also Australia. Its submarines and surface vessels have been increasingly active, particularly around transatlantic communications cables. By some estimates, 99% of global international data (including phone and internet) moves through these cables rather than paths such as satellites, meaning Russia, through tapping the cables, has access to an extremely rich source of peacetime intelligence information, and the ability to hold it at-risk should tensions rise. Notably, Australia is just as dependent on cables. The government has demonstrated recent sensitivity in keeping foreign firms, such as Huawei, from involvement in building such regional infrastructure. Russia could seek to tap our communications too, aiming to access sensitive information through a “soft underbelly”, as it once did through the spy-ring which led to the formation of the Australian Security Intelligence Organisation. Alternatively, having its own interests in Antarctica, Russia would doubtless be willing to apply the technology and lessons learned by GUGI in the Arctic. Considering these issues, it might be well worth paying as much attention to Moscow’s other Navy as is currently directed towards the more standard ships and submarines of Russia’s fleet.